The times – they’re changing. And so is the profession of pharmacy. Pharmacists are looking for ways to utilize specialization and certification to fine tune their skills to meet the unique demands of certain practice settings. One such certification is a BCPS (Board Certified Pharmacotherapy Specialist). I wanted to share with my readers a little bit more about what this is and exactly what is involved in obtaining this credential. So I reached out to my friend Eric Christianson to answer a few questions for us about this degree and the process involved in obtaining it. 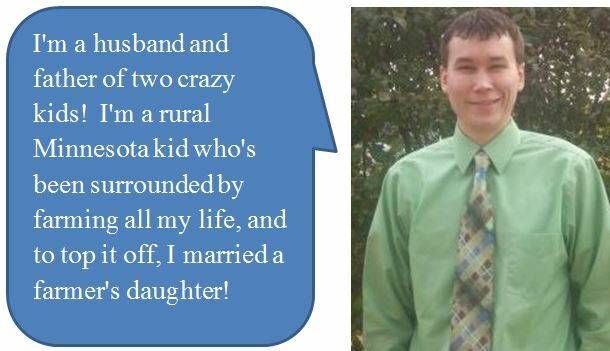 Eric Continued…In high school, I was always told I was good at math and chemistry, and did not enjoy the blood and guts idea of being a doctor or nurse – pharmacy was a logical choice and certainly do not regret it. I had 3 older brothers and had considered agriculture like my oldest brother, but ultimately was more intrigued by pharmacy. So I changed farming to “pharming”. I graduated in 2009 from the University of Minnesota – Duluth Campus. I’m currently a clinical pharmacist at a small independent consulting company. I’ve consulted at around 50+ different facilities so have a unique opportunity to see so many different prescribing trends. I’ve also participated in a community falls prevention program, presented various topics to patients, nurses and other HCP’s, and done medication management sessions (MTM’s). 2) For my readers who may not be familiar with it, could you explain what a Board Certified Pharmacotherapy Specialist is? A BCPS pharmacist is one who is skilled in making good clinical decisions to optimize patient care and safety. Someone who works on a clinical team made up of multiple different healthcare professionals (nurses, doctors etc.) would be an excellent candidate for this specialty. 3) When and what made you decide to pursue the BCPS certification? I had a colleague who was a resident that worked with me pass it and encouraged me to do so as well. I enjoy learning and new challenges. I ultimately feel it (or other certification) will be necessary (unsure when) to provide clinical medication management services as a pharmacist, and felt it would be easier to take the plunge sooner rather than later when it’s mandated. It was not a job requirement or expectation. 4) Would you be willing to explain the process a pharmacist needs to follow to obtain the BCPS certification? You can find them here: http://www.bpsweb.org/specialties/pharmacotherapy.cfm – There are stipulations i.e. can’t be a new graduate. 5) Be honest. How hard was it? How did you personally manage the studying needed to pass the exam? Interesting. How long would you say the process took you from the time you started to prepare to the time you took the exam? I took about 2 – 3 months to study, and really tried to find days where I could study most of the day. Many folks I talked to started 4-6 months out and did shorter time periods… i.e. study 1-2 hours each day or something like that. 6) How has this certification helped you as a pharmacist with your career? Studying is very different now than when I was in school. You realize what information is really pertinent and can help you become a better clinician – You can find a nugget I learned about Coumadin at my blog while studying for this exam. 7) In your opinion, should more pharmacists consider getting this certification? If you prepare and study for the exam, it will make you a better pharmacist. You will learn things that you didn’t know because the exam covers so many different topics. 8) You mention a packet of notes that you used to study with. Where are those obtained from and are there any other study materials you recommend? 9) I love reading your posts on MedEd101. Can you tell my readers a little about MedEd101 and what you are trying to accomplish? 1. I work with a lot of great nurses who ask good questions, I also see a lot of situations where a nurse or doctor made a mistake, and I wanted to try to prevent some of the pitfalls and problems I’ve seen happen by educating. 2. 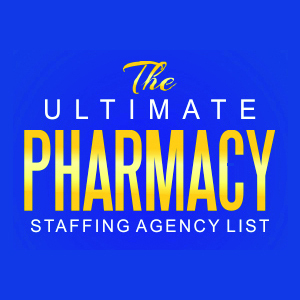 I believe clinical pharmacists are good at what we do, but I believe we are greatly undervalued. I hear so many pharmacists say things similar to “why don’t patients, nurses, doctors know how much we can help them and how much benefit they can get from our services?” I believe we are undervalued because pharmacists (in general) are horrible at marketing, and I believe it is our fault that nurses, doctors, patients, and other healthcare professionals do not know what MTM or a clinical pharmacist is – I aim to educate nurses, doctors, students, other healthcare professionals, and pharmacists about clinical medication management, and in doing so, I’m educating about what a clinical pharmacist can provide that a nurse or doctor can’t. In all honesty, I was tired of hearing the complaining, and wanted to do something about this lack of understanding of clinical pharmacy. 3. I enjoy what I do. 10) Finally, what does Eric like to do when he’s not reviewing charts and making medication recommendations? With two little ones at home, you can usually find me hanging out with my family! I’ve got too many hobbies, but lead a pretty simple life – watching sports, fishing, supper out with my wife are usually highest on the agenda. Get a PharmD or BCPS?